EAW026003 ENGLAND (1949). 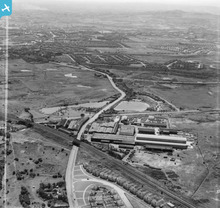 The Thompson Brothers (Biltston) Ltd Bradley Boiler and Engineering Works and environs, Lower Bradley, from the north, 1949. This image has been produced from a print marked by Aerofilms Ltd for photo editing. 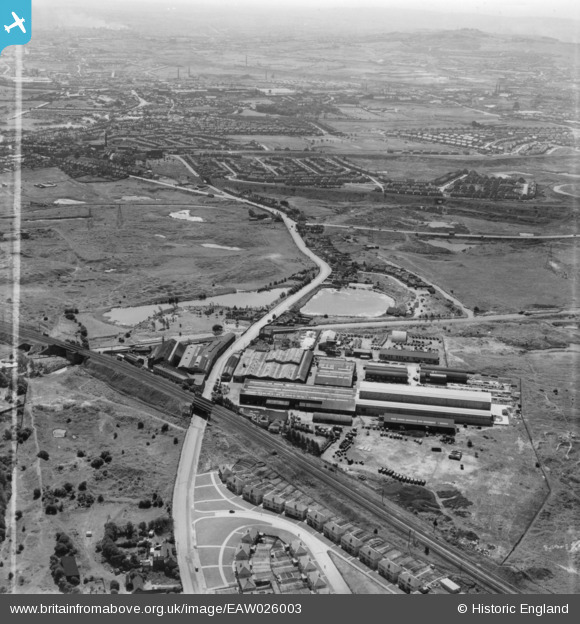 Title [EAW026003] The Thompson Brothers (Biltston) Ltd Bradley Boiler and Engineering Works and environs, Lower Bradley, from the north, 1949. This image has been produced from a print marked by Aerofilms Ltd for photo editing. Midland Metro now crosses the road at this point. BCN Gospel Oak Branch Arm. BCN Ocker Hill Branch Canal.